So you’re getting ready to make some new year’s resolutions, right? Or maybe you already have and you are waiting to finish off that pumpkin pie before starting your gym membership up again next week. 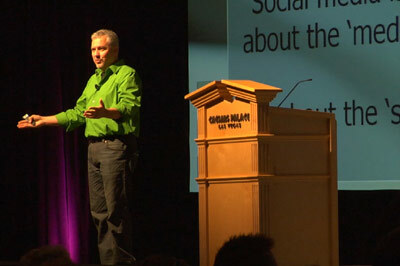 Well, I want to encourage you, if you haven’t already, to start planning your social media and Internet marketing outreach for 2013. You have at least thought about it, right? 1. Set aside time – If you have done anything with social media and/or Internet marketing then you know that it takes time. Even though much of it is free, it’s not really free because it takes your time, and lots of it. And we both know that your time isn’t free. But I am telling you now that if you don’t set aside time every day to do this, you won’t get very far. I set aside my time first thing in the morning with my cup of coffee. Sometimes I get up early as well because that’s what it takes. Find your time now and don’t let anything take the place of that time. 2. Set a budget – Let’s be honest here. Free is good, but not always best. Sometimes you have to pay for stuff. For example, a relative of mine was struggling with his Facebook page and seeing no growth for months and months. He ran into the restrictions that Facebook puts on pages and what you can and can’t do, and who sees your posts, etc. He was stuck at a couple hundreds fans and nothing he posted was getting any traction. Then he jumped in paying for promoted posts, ads, etc. Within 1 month he jumped up to almost 1,000 fans. It works people. But it takes money. Set some aside in your budget. You can always use that budgeted money for other things if it doesn’t work out. 3. Write some goals – This is gonna be difficult for some, especially if you don’t have any idea what you want to accomplish. But writing down your goals and having that in front of you is critical. How many fans do you want each quarter? How many contests or specials will you run this year? Goals are important because we can’t remember anything anymore and we need to be able to look back and see what we wanted to achieve and compare it to where we ended up. 4. Get help – There’s nothing wrong with admitting you don’t know it all. I of course do know it all and I can tell you that it’s a big burden to bear. 🙂 But seriously, aren’t there things in your business that you hire others to do? I don’t do taxes, so I hire someone to do them for me. Maybe you pay a company to manage your benefits packages. Maybe you hire a cleaning service because you don’t have time to clean your offices. Well, maybe you need to set aside some of that budget to hire a social media or Internet marketing consultant. They can help you steer the ship in the right direction with advice at the very least. So there you go. 4 ‘easy’ steps, right? Well, maybe they aren’t as easy as eating that last bite of pie. But they are easier than working off that pie at the gym. Trust me. See you in 2013!